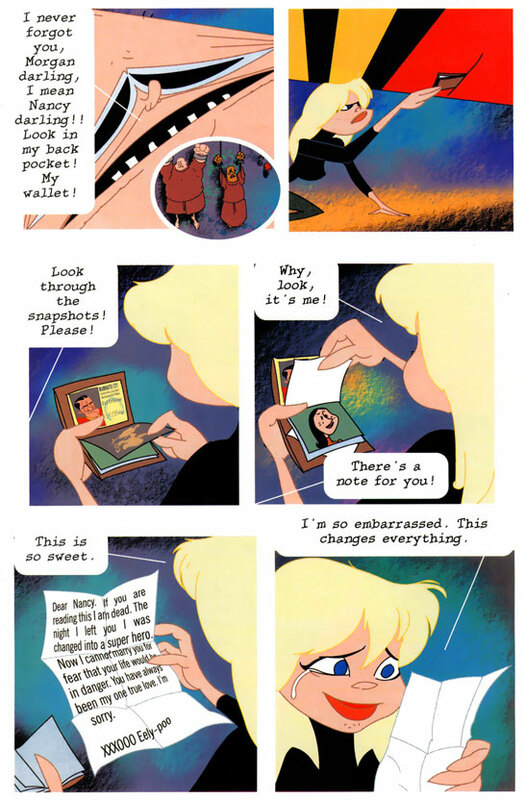 When I first started this blog, I thought I was going to be more or less alone in my Plastic Man fandom. Boy, was I wrong. Not only did I find plenty of people with love for the Pliable Paladin, but I also found some of the nicest, most creative, and amazingly generous group of folks out there. And Charles Ward has been there almost from the beginning, commenting, reposting, and sharing any news about Plas he comes across. So I was crying on Facebook (and Twitter, and anywhere else people would listen) about not being able to find the Plastic Man figure that was part of a recent Justice League Action/Happy Meal promotion. And Charles, true agent of the N.B.I. that he is, sent me a message telling me that he had an extra, and if I wanted it he’d send it my way. When it arrived, it was in its original packaging and everything (I totally opened it, though). It’s now in a place of honor with my other Plas figs, at least half of which could stand in as a tribute to the generosity of others. And, by the way, it’s a great figure, with bendy arms, an extendable neck, and a big ol’ Plastic Man grin. Be sure to check out Charles’ Plastic Man Fan Group page on Facebook! As you may or may not know, my wife and I recently moved a few states over from Austin, Texas, to Chicago, Illinois. Getting everything ready for the move took up a lot of time (which is why the blog has suffered lately), but we’ve been here for a couple of weeks now and I didn’t waste any time hitting some of the local comic shops! I also managed to swing by Graham Crackers Comics-Edgewater, where they had a display for the Funko DC Super Powers keychains. I was excited when these were first announced, and then completely forgot about them. So I didn’t know they were being sold as blinds — basically, you buy a package without having any idea what’s in it, and hope you get the one you want. Welcome home, little guy. Welcome home. 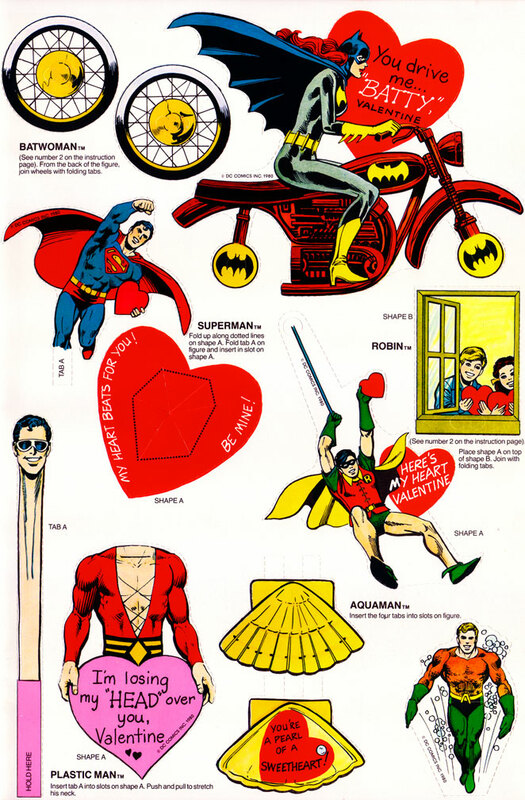 It’s no stretch — Plastic Man wants you to be his valentine! It’s Valentine’s Day! 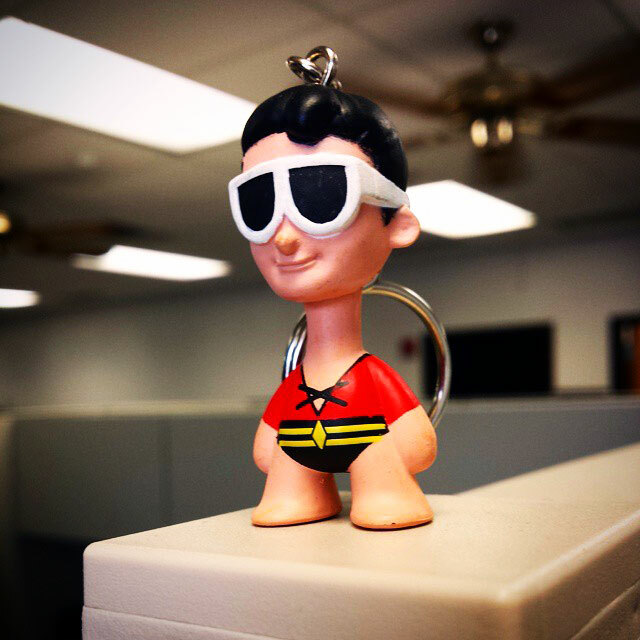 A time when there’s something special in the air, when a young man’s fancy turns to … Plastic Man! 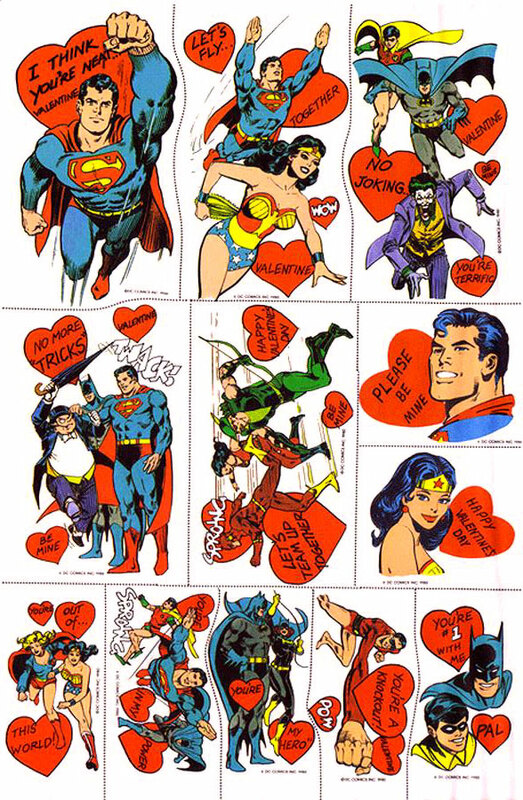 DC Comics and Cleo knew this way back in 1980, when the arts-and-crafts company put out the Super Friends Action Valentine Playbook, featuring a handful of DC’s most popular characters declaring their no-doubt platonic love. And who managed to wiggle his way in there? Well, it wasn’t that chump, Dibney. That’s right — Plastic Man thinks you’re a knockout! Here’s a non-sideways look at the valentine. This activity book would have come out a few months into the first season of the Plastic Man Comedy/Adventure Show, so it makes sense that Plas would have been popping up in licensed products here and there. And of course, he lends himself to some interesting art projects. OK, taking another look at that valentine, I know what you’re thinking — BEST VALENTINE EVER! Happy Valentine’s Day, Plasti-fans! Thanks to Rob Kelly of The Aquaman Shrine for passing these on! Bonus: Plas and Morgan reconcile in Plastic Man #6 (vol. 4), written and drawn by Kyle Baker. D’awww … that Eely-poo is such a softie. Is that a Plastic Man in your pocket? I don’t think I could get away with saying Plastic Man is a consistently popular choice for merchandising, but I do think he’s managed to wiggle his way into a lot of toy and figure lines. And in one particular case, I like to think it’s a hint at a growing profile for Plas. Of course, that all depends on whether this keychain from Kidrobot is new or just new to me, but either way I love it and demand one immediately. This seems like kind of a big deal because while there are 10 of these vinyl keychains, most of them represent perennial favorites like Superman, Batman, and Wonder Woman. (Aquaman, Flash, Green Lantern, Supergirl and the usual Bat-foes also put in an appearance.) That’s pretty good company, and an interesting choice for the producers to make. It makes me wonder if Plastic Man really is just that popular, or is this coming ahead of some sort of marketing, tie-in push? DISCLAIMER: I have absolutely no idea if this is real or not. I don’t know if this is something that was mass produced at some point, I don’t know if this is a custom job by some anonymous crafty person out there, and I don’t know if this is just some cruel Photoshopped hoax. What I do know is that I need this in my life. It seems so obvious, right? C’mon, DC, let’s make this happen. 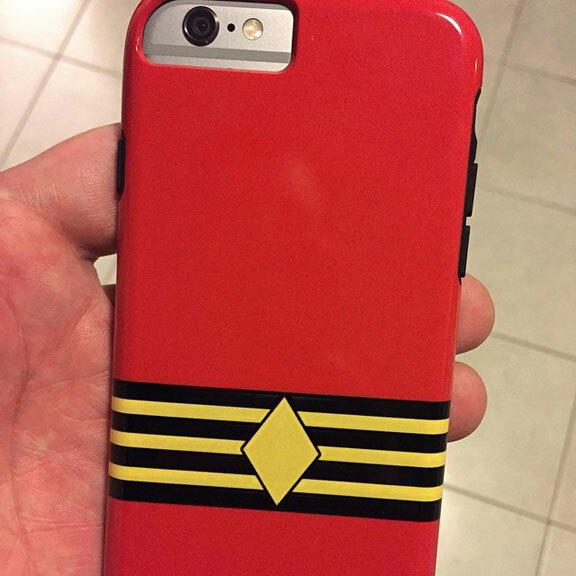 and thanks to Rob Kelly (of The Aquaman Shrine) and Patrick Joseph (who can be found at Hectic Engine) for passing on the phone cover photo!